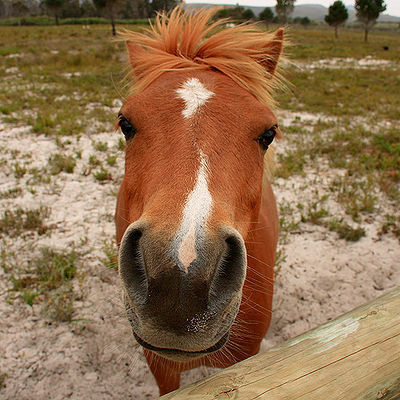 In studies at the University of Sussex in the United Kingdom, horses were able to recognize differences in human facial expressions. Using photographs depicting positive and negative human facial expressions, the 28 horses used in the Sussex study showed changes in heart rate when they were shown the photos. Increased heart rate indicated an understanding of angry human faces. When shown pleasant human expressions, there was little change in heart rate. The reaction has not been seen before between animals and humans. The horses also responded to the angry faces by looking at the photos with their left eye. The left eye receives information from the right hemisphere of the brain which processes threatening stimuli. The horses’ stronger response to the negative photos than the positive ones may be due to the fact that they are prey animals. It is important for their survival to recognize threats. (Dogs also view negative human facial expressions with the left eye). Dr. Karen McComb, co-leader of the research, explained the findings. 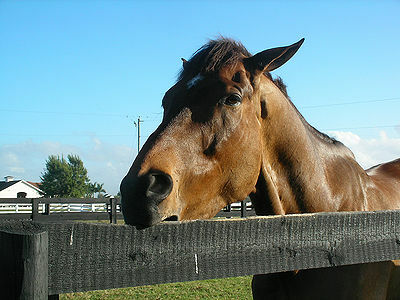 Their ancestral ability to read emotions in other horses may contribute to the horses ability to read human expressions. 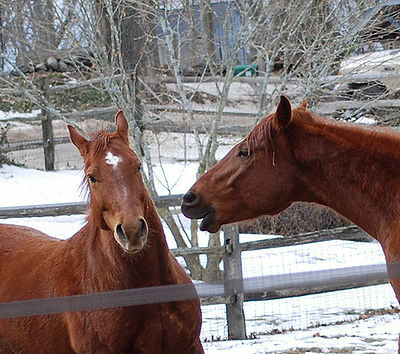 Horses are highly social and therefore have heightened emotional awareness. Despite the differences in facial structure between horses and humans, horses are still able to accurately assess our moods. 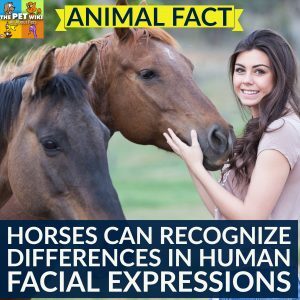 It’s amazing that even though the horses were shown only positive and negative photos without any verbal commands, they were still able to understand our facial expressions. The research is part of san ongoing project into emotional awareness in horses.